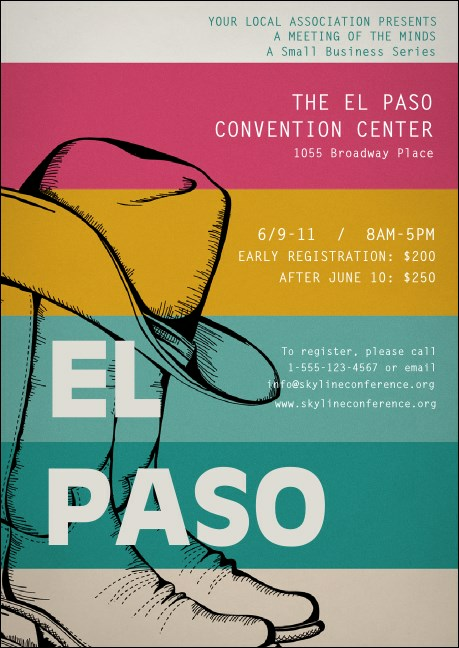 Tell the story of your event in the City with a Legend when you print El Paso Postcards and send them out to your West Texas guest list in advance. Each multi-colored Postcard features a Southwestern background design and includes fifteen lines of custom text for all your Sun City event details. Kick your advertising up a notch at TicketPrinting.com.